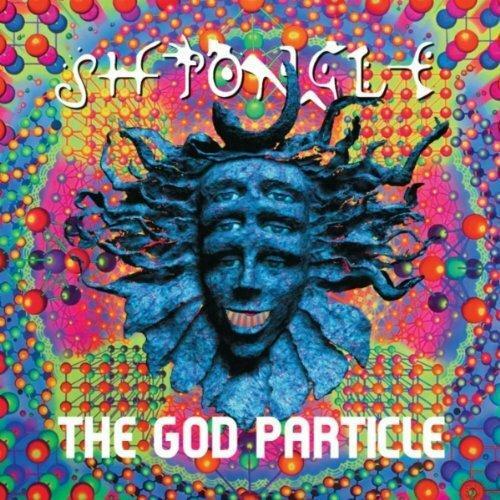 Shpongle - "The God Particle"
This is a very cool two track limited edition CD single (1450 copies) with two tracks that are a theme about the super collider and the possibility of finding the higgs boson, or the God particle as some refer to it. The music is suppose to take you on a journey as if you were the atom flying through the proton accelerator going around under the ground in a huge loop in Switerland and about to be smashed into another one to create, the "God Particle". There is only 16 minutes of music but it is really cool and spaced out stuff. Before the Big Bang starts with some really cool spaced out electronics before the repetitive synth line takes off around 1 minute and they just build in more and more layers of cool stuff. I really love this one synth sound that just sort of buzzes across the soundscape. Very cool track and amazing sound. The God Particle is next and about 11 minutes long. Again, it starts off really spaced out and it has some really cool samples as well. This has a really nice fast appregiator synth a lot like the old VC3 that Pink Floyd used on the track On the Run on Dark side of the Moon. They also mix in loads of other cool sounds and stuff. I really liked this a lot. Amazing headphone music.